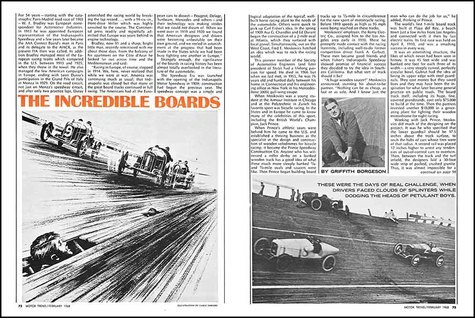 Incredible speeds were reached on board tracks; speeds that were unobtainable anywhere else at the time. Extracted from the February 1968 MT Magazine. To view or download the article - click on the article title above. If there are any other articles related to this story they will be in the box at the top right.